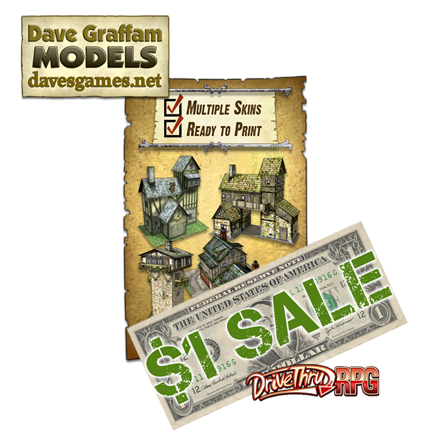 This morning I woke up a bit earlier than usual and did my normal web surf, only to find that Dave Graffam Models is having a HUGE sale over at DriveThruRPG (thanks Mark CMG for the catch!). I featured the trio of Dave's free model bundle nearly two years ago and his work has only gotten better in the interim. Hell, I'd argue he's the best paper model maker out there...and I really like some of the other guy's work! 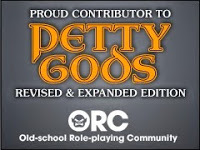 I have no idea how long this sale is going on for, but it is a great opportunity to pick up a lot of pieces at a almost-stealing price.